Responsible for grinding up food and preventing kitchen drain clogs, your garbage disposal has a big job, but many people treat it like a trash which can cause major issues. 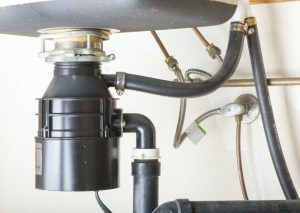 A clogged garbage disposal can be inconvenient and frustrating but by knowing how to properly use your garbage disposal and fix common problems, you’ll be able to avoid any major issues. Always run water before, during, and after running the garbage disposal. This will help clear the drain line. Place a small amount of ice into the disposal to clean the grinding area. A drain stopper will help contain ice from flying out of the drain. Utilize a drain cleaner or degreaser to eliminate grease and any other unpleasant odors. Have your drain snaked by a professional every two years as preventive maintenance. Ask your plumber for their best methods and advice on maintaining your garbage disposal and drainage system. Only use cold water during the grinding process. Don’t put grease or fat down the disposal as this will cause the drain to clog. Don’t place multiple vegetables peels in the garbage disposal at once. Instead, slowly dispose of them to reduce the chances of any problems. Only use mild detergents or garbage disposal specialty products to clean your drain. Overtime, your garbage disposal might experience an issue or two. Most are easy to fix but others should be handled by a professional. Here are some common problems and easy solutions. Clogs are a common problem associated with garbage disposals and are typically pretty easy to fix! Over the years grease, food remains, sediment and scale can cause your disposal to clog and even smell. To push the clog through the drain, simply fill the sink up halfway with water and use a plunger to the drain. The pressure of the plunger should push the clog down the drain and the water will start to drain at a normal speed. If this doesn’t help, snaking the drain is your next option! If your garbage disposal is humming but won’t grind and there are strange noises coming from it, this is a sign there is something jamming the flywheel. To remove the jam, turn off your garbage disposal, unplug it, and use a wrench or something that you can grasp the item without putting your hair down the drain. Always turn clockwise. If you’re garbage disposal isn’t turning on, there is an issue with the power source. First check to see if it’s plugged in. If it is, try pressing the reset button on the unit itself. A few other reasons for this can be a tripped circuit breaker, a dead outlet, a malfunctioning circuit breaker, or it can be a sign of the end of your garbage disposals life. Leaks happen. Start by removing the garbage disposal unit and tightening the mounting bolts. If this doesn’t solve the problem, push the sink flange up until it’s above the surface of the sink and apply plumber’s putty to the area between the flange and the sink. Once you’re done, turn the garbage disposal on and check for any leaks. For all of your garbage disposal needs, give Plumbing 911 a call today at (330) 952-1900 or (216) 246-0566.